Karan Johar is not just a happy and proud filmmaker but also a doting dad. The filmmaker welcomed his twins Yash and Roohi in 2017. The twins were named after Karan Johar’s parents- Yash Johar and Hiroo Johar. Ever since he became a father to his little ones, he makes sure to capture the cutest and most adorable moments of his babies and share it with the world. 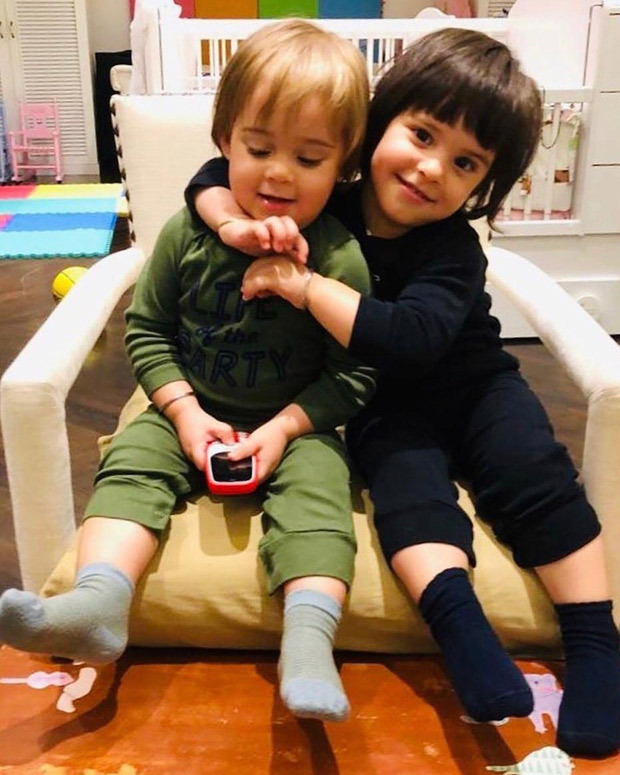 On Sunday, Karan Johar, whilst spending quality time with his kids, shared a lovely photo of Yash and Roohi. The two of them were bonding in the photo and smiling for their daddy‘s camera. This is the first time we got to know that little Roohi Johar is older sibling by a minute. She is seen protecting her baby bro Yash Johar in the picture. “The protective sister! Older by an entire minute! #mylovestory #roohiandyash,” he wrote alongside the picture.